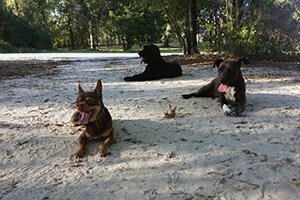 Need help with Dog Obedience Training? 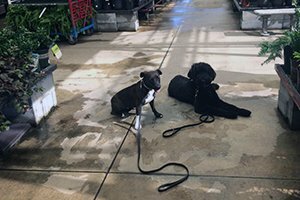 Our program is intensive Our training programs fully immerse your dog into an intense 24/7 training that will provide the repetition they need to obtain new life skills. While your dog stays with us they will get several scheduled training sessions a day. We have the experience in Dog Obedience Training You dog will be working with a professional dog trainer. 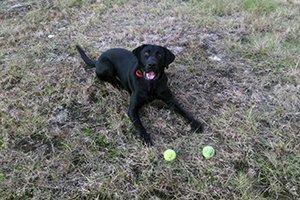 We have trained many dog with different backgrounds and behavioral issues. If you think you have that one dog who “can’t” be trained, we can help! You have a busy schedule? We have a solution! Our Board and Train obedience training programs offer the convenience of training your dog in the trainer’s home. Although it may sound counterproductive, removing a dog from their home environment gives them the opportunity to learn optimally. Need to socialize your dog? While your dog stays with us they will have a chance to play and be around other well-behaved animals. We will even take them on and field trips to public places. Ready to start your dog transformation?